Today can legitimately go into the “epic day” column. The trail started out a little underwhelming considering how much I had been hearing about the “Desolation Wilderness” area for months. Around mile 6 the trail finally opened her kimono. Way too many pics to choose from today! 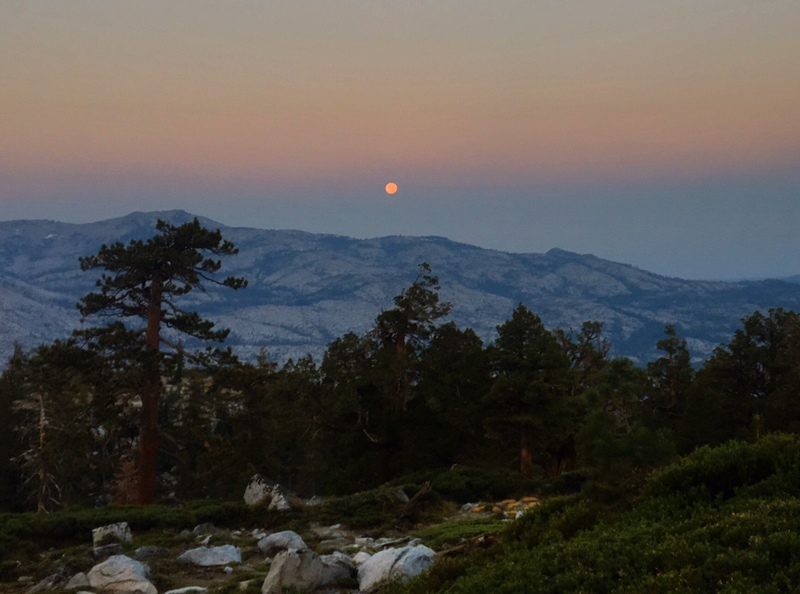 Tricked you on this one…not the sun rising, but the full moon setting at 6:30am. 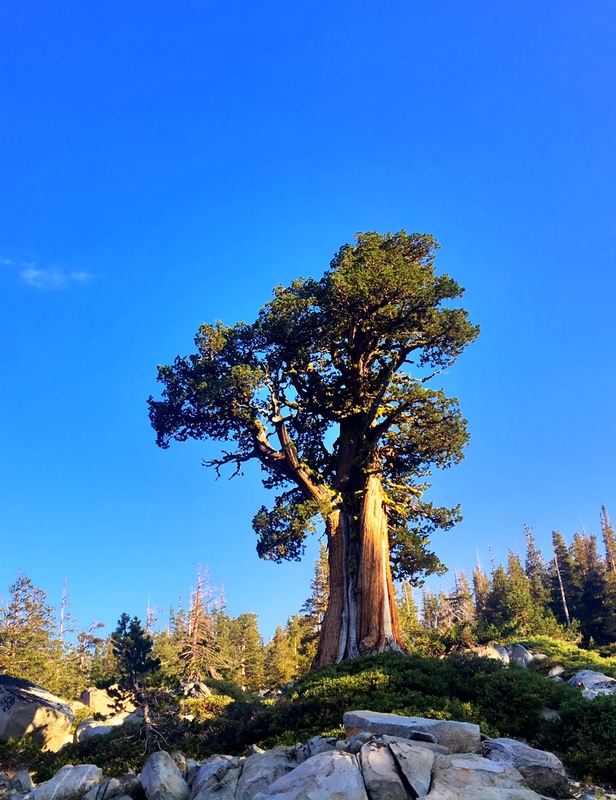 One of my favorite trees, the Jefferey Pine. They often remind me of Bonsai trees. 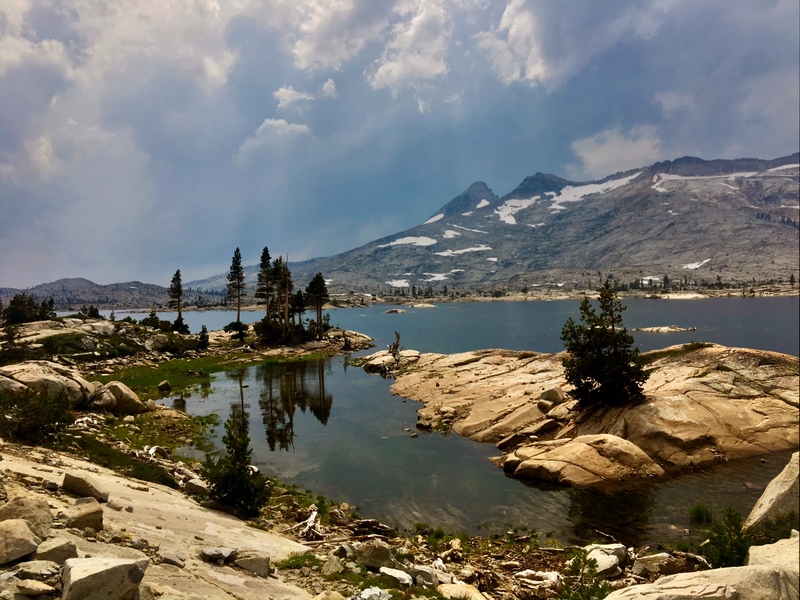 The Desolation Wilderness in all its glory! Dozens of lakes surrounded by walls of granite. 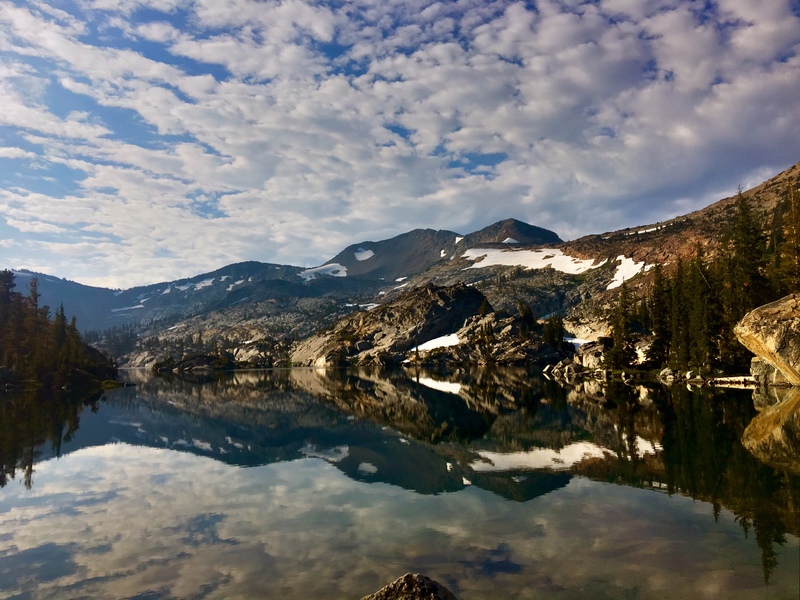 After summiting Dicks Pass (9400′) the trail descended to even more lakes. Lake Aloha might have been my favorite. The trail finally popped us out at the Echo Lake marina. The clouds were threatening with thunder much of the afternoon, but luckily I remained dry. 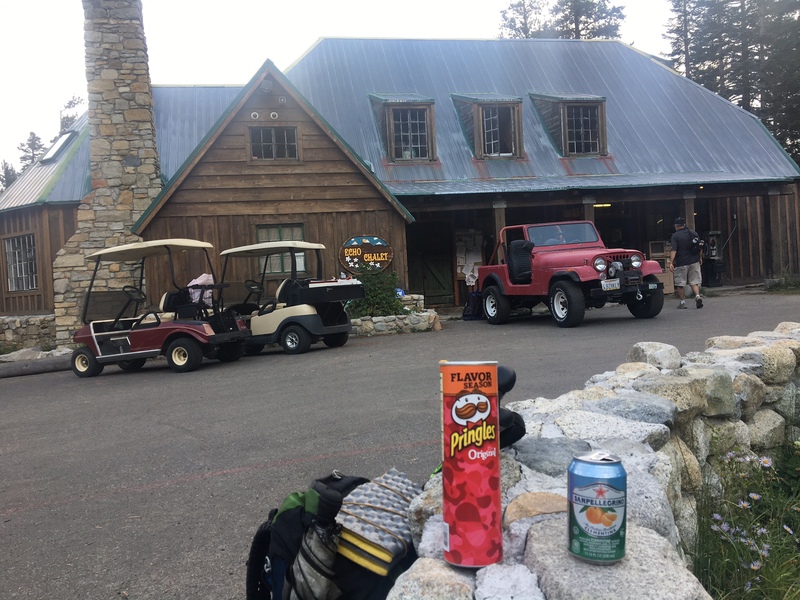 The store was shutting down for the season but let me buy 1700 calories (not pictured, the It’s It Ice Cream sandwich…yum!). Gone in 60 seconds. 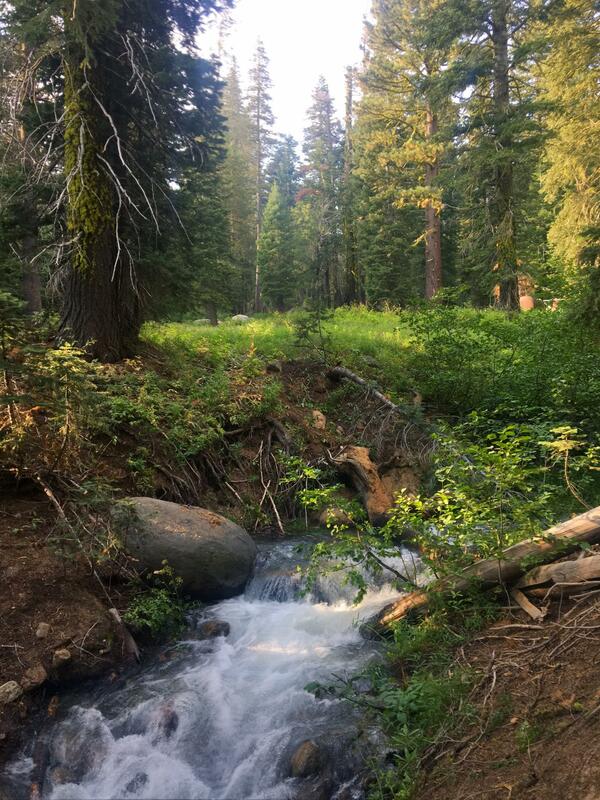 This creek was noted as “Seasonal” in my guide, which should mean nice and gentle if running at all come September. Instead, i started having Sierra flashbacks. The partially submerge log (next to the boulder) I crossed is a bit obscured in the pic. 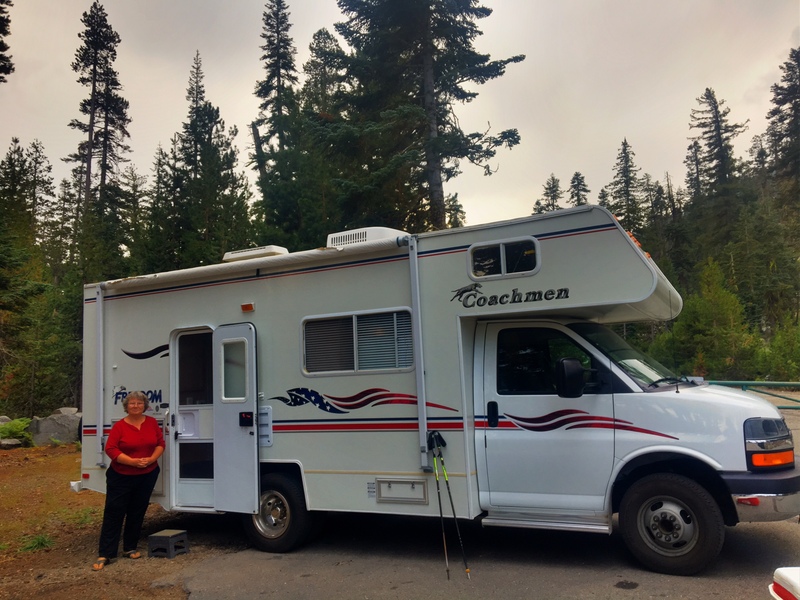 Look who was parked at the Echo Summit trailhead..Mrs. Focus (and Molly, the RV). She very kindly had a pint of Ben & Jerry’s waiting for me but after the damage I had done to the Pringle’s (et al) 30mins back I had to decline. I did manage to down a Coke while I relaxed inside. 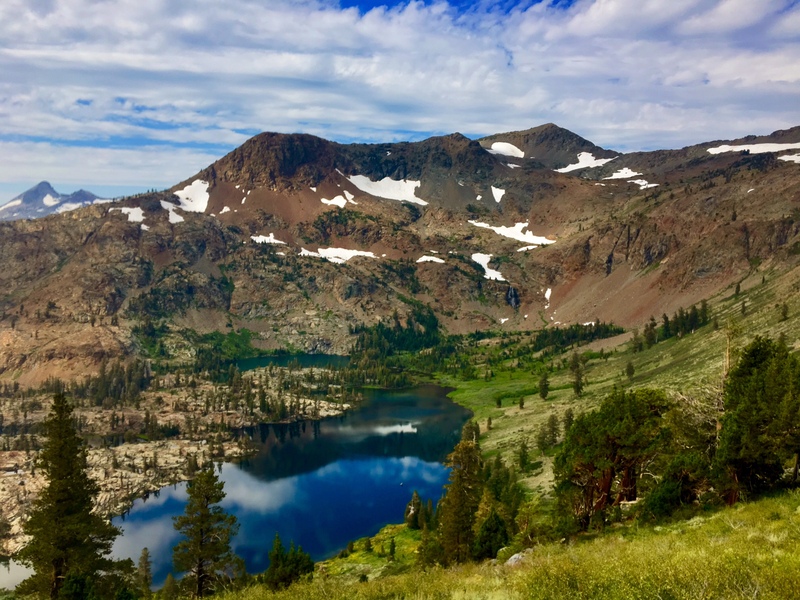 Plus, I will have a the gravitational pull of ice cream waiting for me at Sonora Pass in 75 miles …talk about some motivation! I think I took that exact same pic of Aloha Lake! It was a beautiful place. Now you are hiking on trail that we haven’t hiked yet – looking forward to hearing how it goes!